I called Bill Hudgins today to see how his garden is coming along. It's going to be on the Atlanta Botanical Garden's Gardens for Connoisseurs tour Mother's Day weekend. Bill had called about three weeks ago to say I should come, that things were really popping out early. I didn't make it over there - it would have been when the scilla seen above was blooming, and the new growth on the Japanese maples was emerging. Anyway, Bill says the garden is "in between" bloom times now, so I'll need to wait a couple of weeks. I'm actually more interested in structure in his garden than I am in flowers. 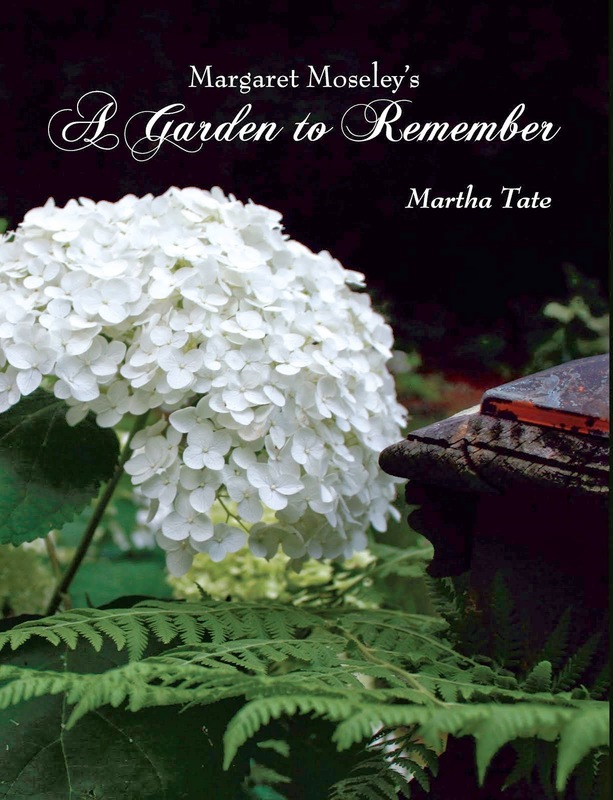 Also, because his garden is so large - at least three acres are intensively cultivated - he emphasizes texture, i.e., pitting giant hostas against ferns, using rocks and ground covers and different shades of green to carry him through all four seasons. While his Japanese maples are wildly colorful in both early spring and fall, and he has plenty of flowering trees and shrubs, the background for just about everything consists of boxwoods. This leads me to the photograph above. I saw some dwarf Korean boxwoods I am thinking about buying. I need evergreen structure to offset the hodge-podge of flowers I've accumulated in the pocket garden on the side of the house. I think I'd like to do something like Bill has done here. He's created a small vignette using boxwoods. In spring, the tall white scilla comes up. Later, he'll pop in some handsome white begonias (I don't know the type, but they look great in this space). These latter will carry him into fall. I've mentioned before that it took me a while to realize that flowers look so much better - on a patio or in a border or bed - if there's some evergreen in there to soothe the eye. I remember going to a greenhouse in the country where they had the best summer annuals. I came back with a pick-up truck load, planted them out on the concrete deck (I can't bring myself to say a better word like "terrace"; it sounds too fancy), and then wondered why it all looked so garish. It was because there were only flowers out there, and no basic green for contrast. So, I'm going to jump on the structure bandwagon and buy those boxwoods for this little garden. I may have to play around with the form, but that's important, because you look down into the "pit", which will also need a path and some other organization. I think it will be fun, even though, as usual, I'm going about it backwards. Boxwoods are one of my favorites, everything looks better with them. we have been busy planting boxwoods this summer as well...thank you for more inspiration. You are not the only one going about adding structure to your gardens backwards. I have been back and forth with the best evergreen shrub to use and I keep going back to boxwoods....all though I was told as of late that they are 'too dated'....whatever! I like them. I really have enjoyed your blog, I'll be back around.